I bought for mom & it works. She loves it. 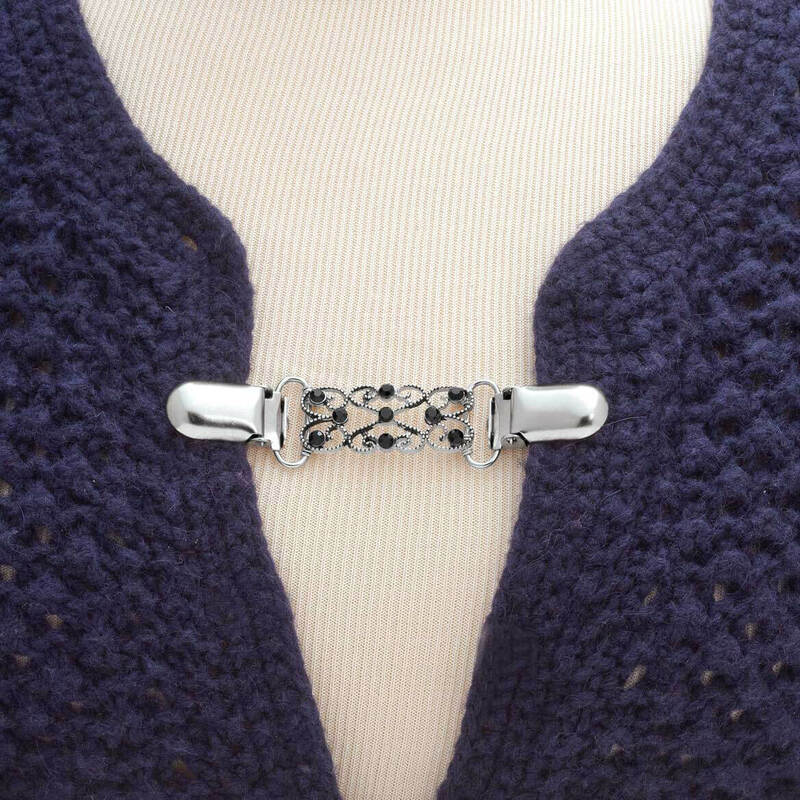 This handy sweater clip does the job of keeping cardigans in place. The clip ends are secure, and won't damage fabrics. Love, love, love this. I have been looking for one for quite some time. very happy and very pleased with this purchase!! great buy!! Something I haven't seen years. Very nice item. I thought these sweater clips had been done away with. I was very happy that I could wear them again. I want to keep my cardigans from slipping off my shoulders. Had one before and my granddaughter wanted it so i am replacing it. used it on my sweaters and open jackets. I needed this for a cape and a sweater. This accessory item is so hard to find. I have been looking for a couple of years. I wear a lot of buttonless short cardigans and they never stay in the right place. Hope it does the trick without damage to the sweaters. I wanted a silver clasp. This one looked very good. We used to have these back in the 50's. Need one again in old life....might purchase more if it works as good as our old ones in the 50's. I've been looking for a sweater clasp. This is pretty. I remember teachers and business women wearing them when I was a young women. And when I went looking for some as I entered the work force; I could not find them in the stores. I have searched yard sales for years and have only found a few. This one caught my eye and I can't wait to wear it and add it to my collection. Once again this is a had to find item and comes in so handy. Never seen them anywhere else and such a good price! Been wanting one of these for a long time . 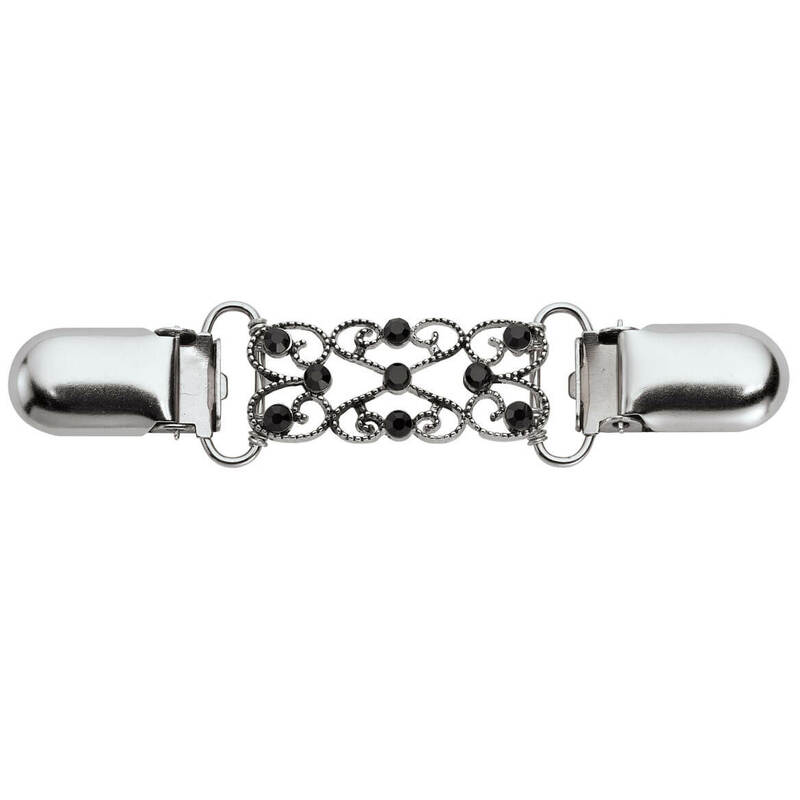 HAVE BEEN LOOKING FOR A SWEATER CLASP FOR A LONG TIME AND THIS ONE IS SIMPLE YET ELEGANT AT THE SAME TIME. My sweaters tend to fall off. Hopefully, this will hold the sweater on. sweaters with no buttons fall off the shoulders. This should stop that. 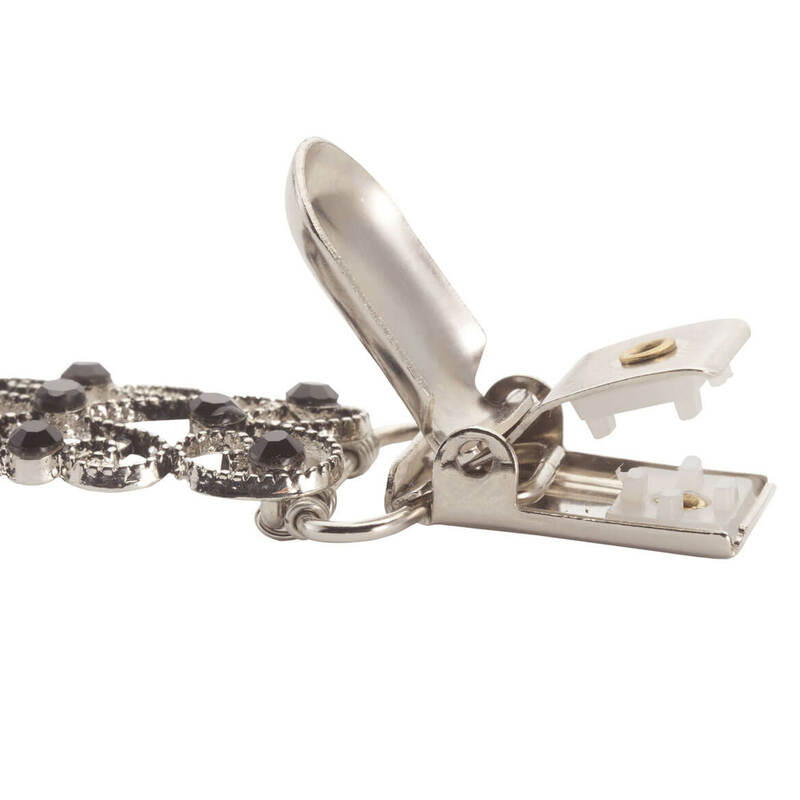 It is a lovely clip for its modest price; and is ideal for keeping my cardigans in place. I have one for myself, use it often, and receive compliments on it. I have bought one for each of my sisters now. Recently bought a sweater I really like, but the zipper constantly gets stuck, to the point I stopped zipping it for fear the only way I'll be able to take the sweater off is if I cut it. Don't want to do that,. So I'll just use this clasp to help keep it closed. Plus the clasp will look good with a pair of boots I often wear when I wear the sweater. Need to hold my sweater so it doesn't slip off my shoulders. I wear a lot of cardigans and they do not have buttons, so I would like to hold them together with this. I have 2 sweaters that I need this for. No reason. Just wanted it! Was looking for one for some time. Some blazers and jackets don't have buttons. Sweater clasps hold them in place in the wind. For sweaters, jackets. I've wanted one of these for 5 years. need a close fitting clasp I have only seen the ones with chains etc. It's a useful item and looks very attractive. My brother needs one to hold his suspenders close together in the back, or they slip off his shoulders.